The following are a list of tips for students. They are in no particular order. 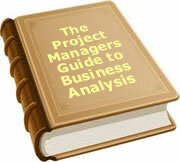 They cover many of the traps that people fall into when carrying out school projects or assignment. Hopefully they will help you when your time comes to undertake a school project or student assignment. 1. The first thing you should do in any school project is to draw up a plan of what you have to do, and when you are going to do it. Also work out when you cannot do anything. Note down time that is not available. 2. Set yourself milestones. These are points where parts of the project are completed. Milestones should be clearly achieved. For example, finishing most of the research is not a milestone. Finishing all the research is a milestone. 3. Milestones should be typically 3 to 7 days apart. If they are longer, you run the risk of going a few weeks without any indication of whether you are on time or not. 4. Aim to finish around three quarters of the way through the project. Rarely do things go as planned. You are bound to find either the work is more than estimated, or the time you thought you had available is taken up with other things. 5. When you draw up a plan, understand you don't know everything you have to do. You might say you need to read a section of a book, but when you do, it leads to further reading. You can't know about the further reading until you complete the first step. Build in contingency time. Think of it as walking down a tunnel with a flash light. You can see ahead the first few feet, but beyond that, it is murky. When you get further down the tunnel, you can see details you couldn't see earlier. Don't think you know all the details when you are at the entrance of the tunnel. 6. Stress and good results don't often go hand in hand. Being under stress to meet a deadline, rarely produces a good result. 7. Typically 5% to 15% of the mark comes from having the time to review the draft product, and make adjustments. If you don't have that time, you are penalizing yourself before you start. 9. Understand roles and responsibilities. If you are doing everything yourself, it is clear. If several people are collaborating, make it clear who is doing what. It is a double edged sword. Either things fall between the cracks which leads to tension, or two people try to do the same thing which also results in tension. 10. Remember tension builds tension. If you are stressed and get short with people around you, they will get short with you. This develops into a spiral of escalating stress. Walk away for a few moments when it gets too stressful and back off the people around you. The spiral can go down as well as up. Provides grade school students with science fair project ideas.